BROWNS BAY SERVICE IS GOING AHEAD IF YOU WOULD LIKE TO POP OVER AND SEE OUR FRIENDS AT BROWNS BAY! Come and mooch with a coffee and the kids shopping locally at the Artisan Market! 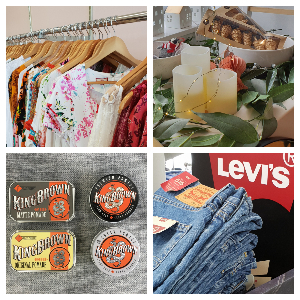 -meet the local makers selling craft, art, jewellery, gifts, baby items, home decor, food, accessories and much more.... Bring the whole family along, there's something for everyone! After lunch we suggest you grab a coffee at the new lookout taking in the Village with a view over Auckland city's only inner city rainforrest and enjoy as you walk the streets and vistas from of beautiful Birkenhead village. From Latin America with Love! 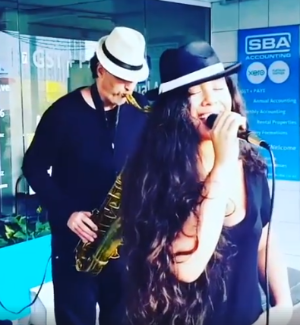 Sway to the sultry sounds of the Saxaphone as the fabulous Fred Baker plays the Bossa Nova Beats and it floats on Village streets from 11- 1pm. Grab a friend, your favourite family and spend some time with a coffee in the Village this Valentines Day. February is the month of Romance in the Village, keep an eye out for more romantic events around the Village! From Latin America with Love! 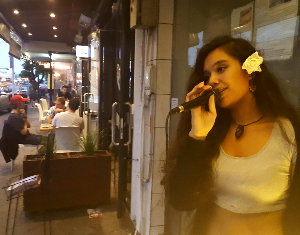 Experience of the romance Latin Beats from Bossa Nova to Mariachi Music this week in the village. 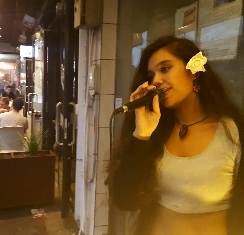 Latin Bossa Nova beats will be pulsing through the Village on Valentines Day. 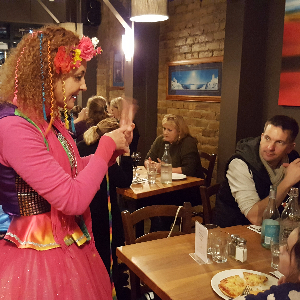 Mariachis will be strolling the streets Sunday and visiting our local village restaurants, make sure you're in the village between 7-9 pm for Mood Music this Valentines Day. 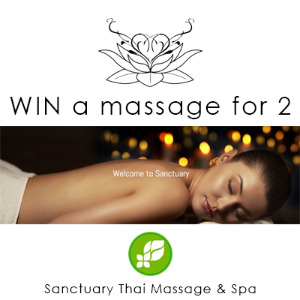 Thanks to Sanctuary Thai Massage and Spa for generously sponsoring this prize. Write your name and phone number of the back of your receipt. Post your receipt in one of the two entry boxes located at Paper Plus Highbury Mall or Post Office Mokoia Rd. Entries close 5pm 14th February. Come and do your Christmas shopping locally at the Christmas Artisan Market! 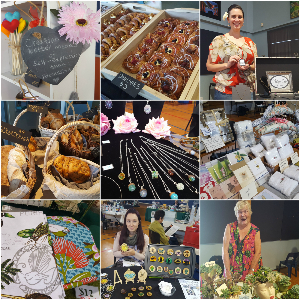 -meet the local makers selling craft, art, jewellery, gelato, gifts, baby items, home decor, food, accessories and much more... Entertainment and face painting. Bring the whole family along, there's something for everyone! 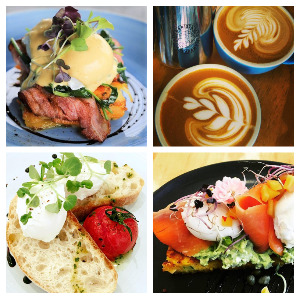 After lunch we suggest you grab a coffee at the new lookout taking in the Village with a view over Auckland city's only inner city rainforrest and enjoy as you walk the streets and vistas from of beautiful Birkenhead village. Shop, dine or purchase services to a combined value of $50 in participating stores throughout the Village and be in to win $500 cash! Be sure to attach your receipts to your entry forms and drop them into one of the 100 white entry gift boxes found in stores village wide. There are 5x $500 cash prizes to be won! Entries close Thursday 20th December and winners drawn Friday 21st December. Click here to download an entry form or collect one from a participating store! Click here to download the list of participating stores! 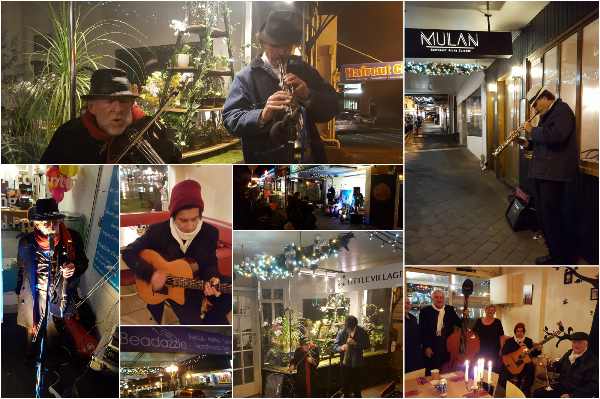 Birkenhead Village Introduces the "New Village Vibe"
Resident Muso's in the Village "Music to Cruise by"..
Every Saturday Brunch Set from December 1 until Christmas. Gustoso, Kaimataara O Wai Manawa the new public space & lookout in the New space &1 hr at historic Highbury Corner. Come listen be engaged in the Village Vibe. It's worth the trip! 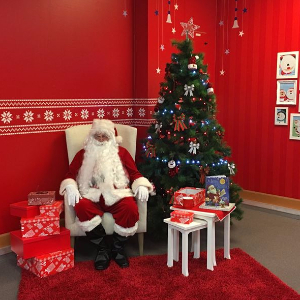 Come and visit Santa in his Grotto at Highbury Mall! Every Thursday, Saturday, Sunday from now until Christmas. 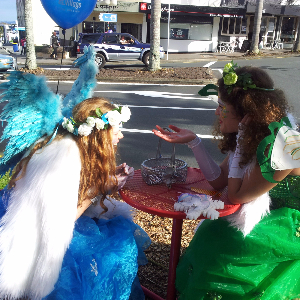 Santa Parade @4 pm- 5 pm Starts/Finishes Birkenhead Primary School Mokoia road. One loop only . Parking Enforcement:/Access to Mokoia road from the roundabout to Birkenhead Primary School will be open until 30 mins prior to the commencement of the parade at 3.30 pm approximately. Please note: Cars on Mokoia road after 3.00pm will be towed. Rotary have permission to close the following roads from 2 pm. Mokoia road from Colonial to Huka from 2pm. Highbury bypass (half the road) From 3.30 pm - 5.00 pm or when parade finished. If there large crowds the roads will be closed earlier than advised in line with safety regulations. FREE VIlLLAGE FAMILY FUN THE WHOLE DAY! Click here to download the full map & timetable of events for Saturday! Sinterklaas is coming to Dutch Delight!!! 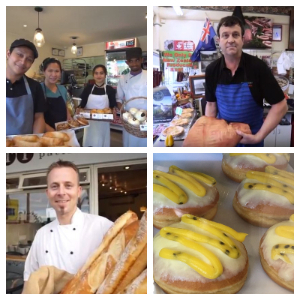 Come celebrate at the only Dutch Restaurant in New Zealand! Dutch Delight a very unique european experience of Christmas the weekend before our Legendary Rotary Santa Parade. 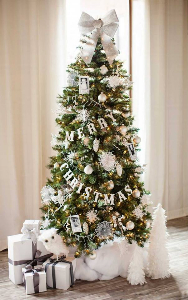 The Fun of Christmas Cash giveaway is on! Over 10,000 dollars given away over the years with local winners across our destination stores throughout the village. Discover our Village Experience. Shop, dine or purchase services to a combined value of $50 in participating stores throughout the Village and be in to win $500 cash! Be sure to attach your receipts to your entry forms and drop them into one of the 100 white entry gift boxes found in stores village wide. 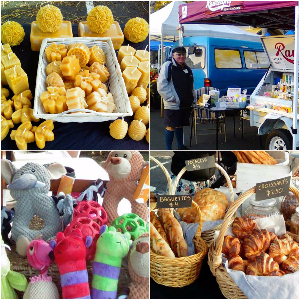 Birkenhead Artisan Market RAIN OR SHINE! Family fun for all, come along to the Artisan market then stroll down to the library at Nell Fisher Reserve . 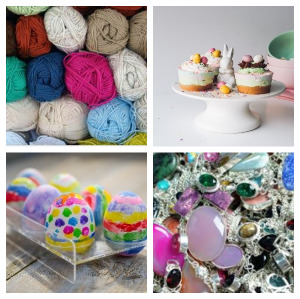 Vibrant local artisan market -meet the local makers selling craft, art, jewellery, gelato, gifts, baby items, home decor, food, accessories and much more... Entertainment and face painting. 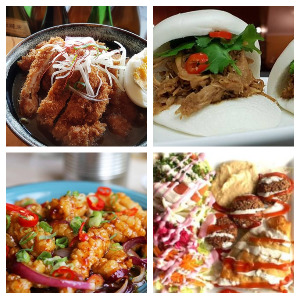 Bring the whole family along, there's something for everyone! After lunch we suggest you grab a coffee at the new lookout taking in the Village with a view over Auckland city's only inner city rainforrest and enjoy as you walk the streets and vistas from of beautiful Birkenhead village. 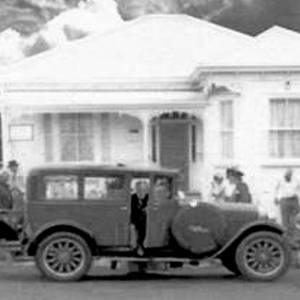 Spin the wheels back to Auckland in 1927 – when the latest in modern travel was the Model A Ford. You're invited to hear the stories of these historic cars directly from their owners. 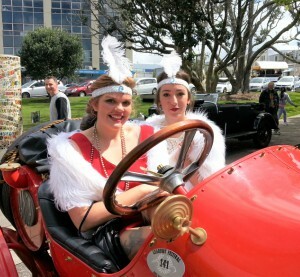 The members of the North Island Model A Ford Club will be parked up by Nell Fisher Reserve. Sway to the sounds of jazz as you wander through this stunning selection of cars. 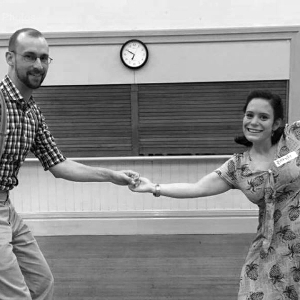 Be wowed by the Gin Mill Swing Dance Demo – and you can even take a lesson in the Charleston and Lindy Hop at 1pm. 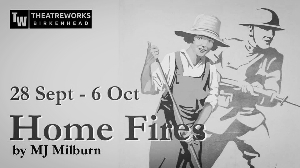 Home Fires recounts the stories of eleven women left at home in New Zealand during World War Two. Struggling with questions of loyalty, independence and desire, these characters reflect the tensions present within both a nation at war and a society moving towards greater equality. TO 251 Hinemoa Street, Senior Citizens Hall, Green Building behind Hinemoa Hair and opposite the Library! Historian Margaret McClure refers to Birkenhead's period 1920-1929 as the Dancing Years. Dance your heart out at this event at the new Lookout! Best view in Auckland. This is your chance to learn the Charleston, the Lindy Hop and more 1920s dances. 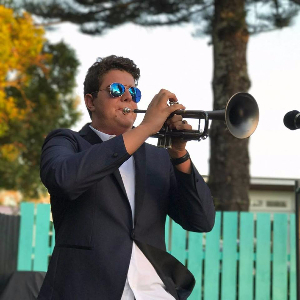 Bring along your friends and family and swing along to jazz on the new Kaimataara ō Wai Manawa Lookout, as our forebears did at Foresters Hall. Parking In Rawene Road Carpark after 3.00 pm 35 Carparks opposite the Library on Rawene Road. 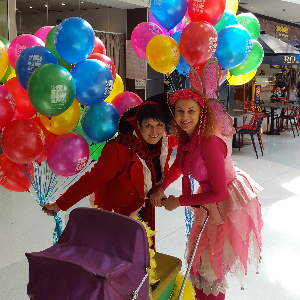 The Circus is coming to Highbury Mall these school holidays! Each day a different theme will be featured as part of the Show. Come along and enjoy a 45 minute show and then stay to join in to learn some tricks in the workshop that follows. Venue: Old Postie Plus Site at the front of the Mall on Mokoia Road. Foresters Hall was once the centre of all social activities in the Birkenhead village with dances, municipal bands, films and fancy dress. 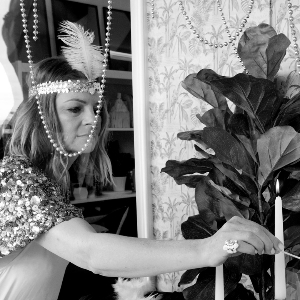 Discover your own fancy dress and collectables galore in Highbury's thrift shops. 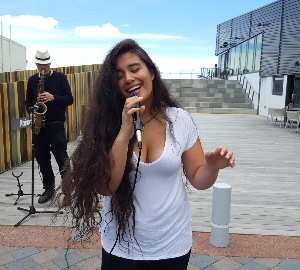 Be serenaded by vintage jazz as you shop, between 11am and 2pm. Throughout history the musicians of each era reflect the mood of a nation. 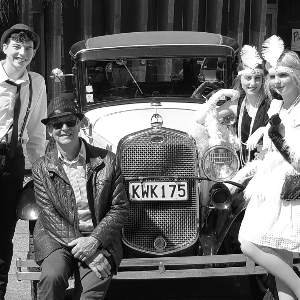 Discover the feeling of the Jazz Age in Highbury, Birkenhead, as you stroll through the village or dine in. 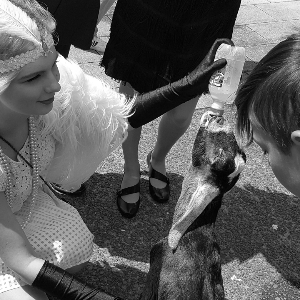 Jazz musicians will be moving progressively through the village streets and restaurants to recreate the atmosphere of the 1920s. Once the site of historic Taylors Farm, you can still bring the family and meet the farm animals including pigs, goats and sheep. A great way to see the original Clydesdale horse, the breed introduced from England by NZ Sugar. It can tow its own weight behind it – useful for the workers carrying sugar bags from the factory. 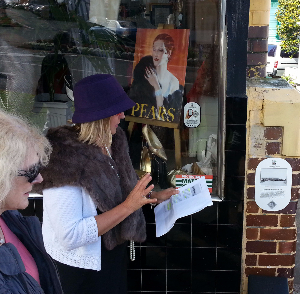 Join this free guided walk down Rawene Road, past the original workers cottages. Discover the history and lives of the original sugar workers of the Chelsea Sugar Factory, established in 1884 and continuing to trade today. Children learn the secrets of traditional baking from a master baker. There has always been a baker on Highbury Corner. Today, Ott is a destination outlet, making baked goods the traditional way. Chris Ott's family has three generations of bakers, and his recipes go back to those of his great-grandfather. A hands-on experience, where Chris will reveal how to make shortbread, along with other time-honoured treats. 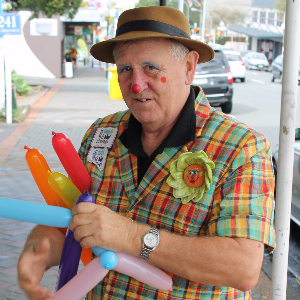 Butchers, bakers and candlestick makers have been in Birkenhead Village since trading began in 1927. 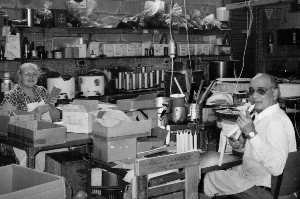 Golden Glow Candles are approaching their 50th year in the village. Spend the afternoon in the library as Amy Paulin, the wonderful children's librarian, will inspire young ones to create their own heritage designs on a candle. Join our walking guide to hear the fascinating stories of Birkenhead Borough, from the legend of Jean Batten to industry baron Henry Haywood and jam makers Thompson and Hill. 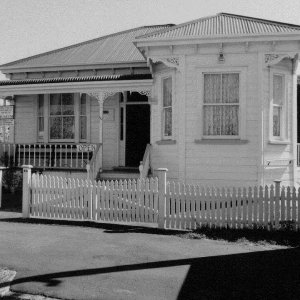 We start at two historic locations in Highbury – and end up at Birkenhead Wharf. We have allowed time to catch the historic Birkenhead bus back from the wharf. There has always been a butcher on Highbury Corner, the birthplace of Birkenhead commerce in 1927. The butchery was one of the first three shops at the commercial birthplace of Highbury, built by local businessman W H Payne. 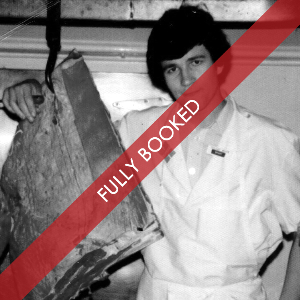 Grant Wright was an apprentice under the Stott family of original butchers, and now has a vibrant traditional butchery business himself. Children can come along and learn how to make heritage sausages. Brian Potter, Vice-President of Birkenhead Heritage Society, will discuss the people who surveyed and subdivided the land, from earliest European settlement times. He will also shed light on some of the individuals who contributed to the heritage of the areas that make up Birkenhead today. Brought to you by Birkenhead Heritage Society Inc.
Birkenhead's early European settlers worked hard to break in the land, creating orchards and strawberry gardens. Then came merchants and business people, who bought larger blocks that were later laid out in house lots for sale. The photographs feature some of the early settlers and entrepreneurs who left a legacy of buildings, street names, gardens or their unique stories recorded in local history. Birkenhead Library presents pop-up stories. 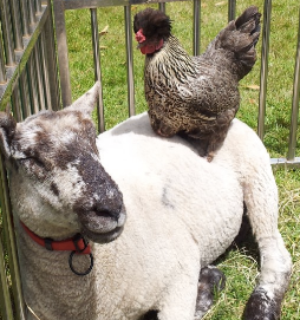 Alongside The Animals of Taylors Farm, Amy the Birkenhed Library Childrens Librarian will be telling stories of the Heritage farm animals at Nell Fisher Reserve (weather dependent, alternative location at Birkenhead Library). 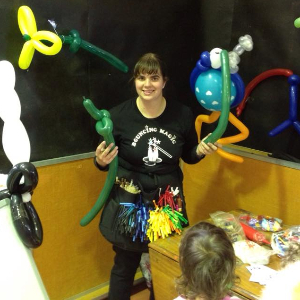 All Saints Anglican Church are hosting their annual fair. 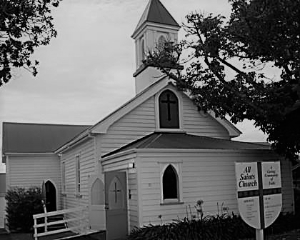 Get on into the Village for a Coffee and a sneaky bargain all for a very good cause from one of the loveliest oldest churches in the Village.The Church itself is constructed from the old Forresters Hall solid Kauri and sited in two parts to create today's church and the hall behind. A really important part of our social heart in the Village. For the first time in the Village we have Freight performing! 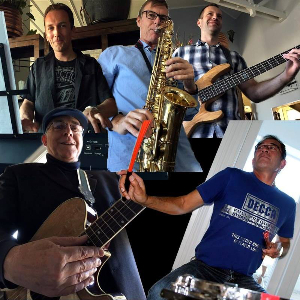 Come along and enjoy some weekend jazzy Chicago blues from our local band. Saturday morning 10-12pm at The Kaimataara O Wai Manawa Platform. Captain will be sailing into little Shoal bay, anchoring his pirate ship and making his way up to the Lookout to see what he can sea sea sea! Back by popular demand! 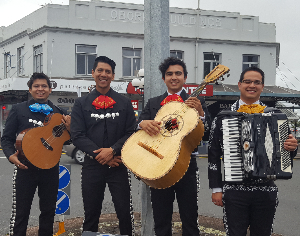 The wonderful mariachis are back in the village for Mothers Day Weekend! Be sure to make dinner reservations, surprise Mum! The Businesses of the Village have opened up their free parking for you for 2 hours-access on the right hand side up driveway next to Ann Cheshire . Thank you to Barfoot & Thompson, ASB Bank, & BNZ for this generous gesture to help you celebrate mum! 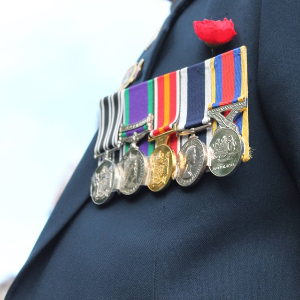 In respect for the Anzac all street retail will be closed on Wednesday 25 April. 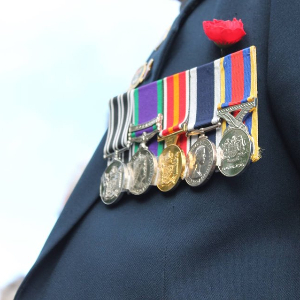 Birkenhead Town Centre Association Inc in conjunction with Kaipatiki Local Board & Birkenhead Returned Services Association invite you to come along to the ANZAC Day Parade. 77 Mokoia Road, travel along Mokoia Road, Highbury Bypass, Mahara Ave and finish at the Birkenhead War Memorial Park on Mahara Ave. 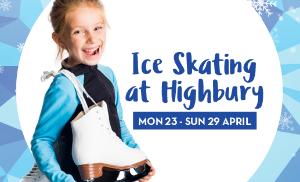 The Ice Skate Tour and their state of the art, artificial ice rink will be at Highbury Shopping Centre. The rink looks like ice and has 97% the same gliding capacity as natural ice. Surrounded by an inflatable boarding and helmets + gloves provided at no charge (both compulsory for kids) it’s the safest possible way to try ice skating. 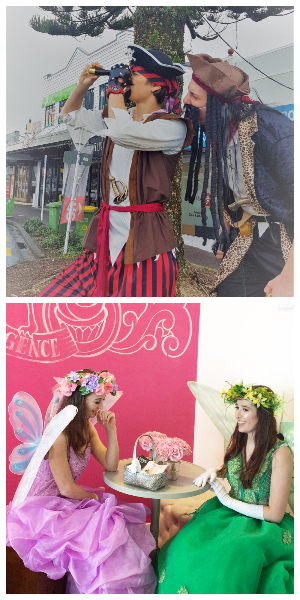 Free children’s pass for every $35 spent at Highbury Shopping Centre during the month of April (1st April – 29th April 2018). Receipt must be presented. EFTPOS and credit card facilities are available at the ice skate rink. The Village Treasure Hunt has begun! Enter as many times as you like, only one stamp per store visit. Keep an eye on our Facebook page Birkenhead Village for updates! The hunting finishes 29th April, winners will be drawn and notified 30th April. Winners will collect their treasure in store. FREE VILLAGE EVENT-ONE WEEK LEFT! Hear ALAN DUFF, Author of Once Were Warriors. 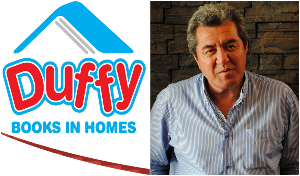 Founder of Duffy Books in Homes. 13 MILLION books given out. Over 700,000 brand new books given out every year. 100,000+ children on programme. 526 schools. 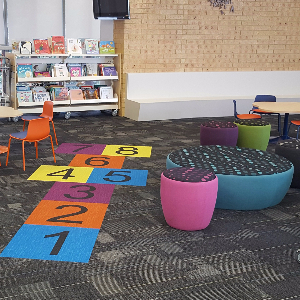 286 Early childhood centres. Come with an open mind and generous heart, with thought of becoming a sponsor ofone of the programme’s 529 schools nationwide. With kind support from Birkenhead Friends of the Library, this is a strictly RSVP event. arlee.turner@aucklandcouncil.govt.nz or call: 377 0209 and ask for Birkenhead Library. Kaushik Talukdar is a Strength and Conditioning Coach to young, elite and recreational athletes. 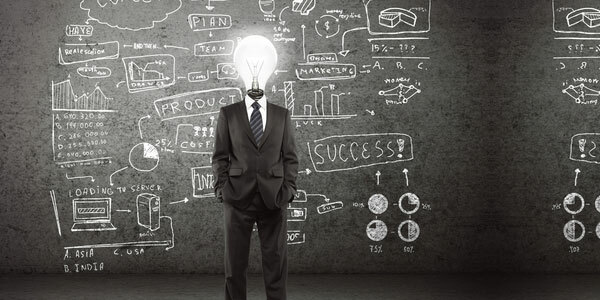 He is also a Ph.D. candidate and lecturer at Auckland University of Technology. Join us for an interactive discussion with Paul Macadam (Sports Science Researcher, AUT SPRINZ); Briar McLeely (High Performance Sport New Zealand Carded Athlete- Canoe sprinting K2 World Cup, 2017); Simon Kent (New Zealand Olympic Weightlifting Coach, Commonwealth games 2018) and Shouvik Nandy (Physiotherapist and MedFit Trainer). 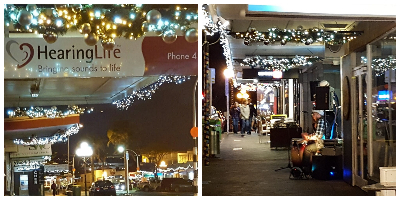 The Best Little Market on the Shore- First Date of the New YEAR! 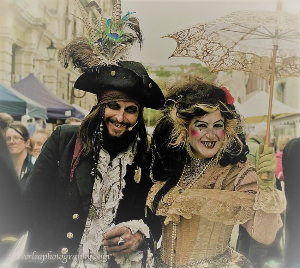 Vibrant local artisan market -meet the local makers selling craft, art, jewellery, gelato, gifts, baby items, home decor, food, accessories and much more... Entertainment and face painting. Bring the whole family along, there's something for everyone! After luncnch we suggest you grab a coffee at the new lookout taking in the Village with a view over Auckland city's only inner city rainforrest and enjoy as you walk the streets and vistas from of beautiful Birkenhead village. The Big Hoot Owls have arrived in the Village! Spot 4 Beautiful Owls that have flown in to nest for 9 weeks. 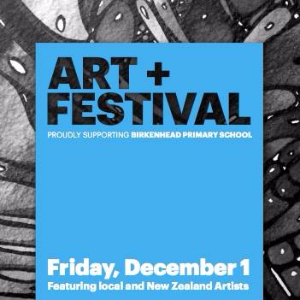 Maps avaliable from Birkenehad Library, Birkenhead Primary School, Kiwibank and Local Cafes. 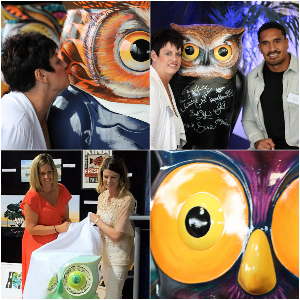 Download the app to have the map of over 100 owls around Auckland on your phone! 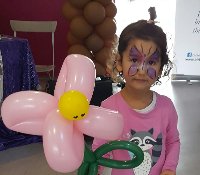 Funds are raised for Child Cancer. Brazillian Divas, Mexican Mariachis, & more Latin Music & More Fun! 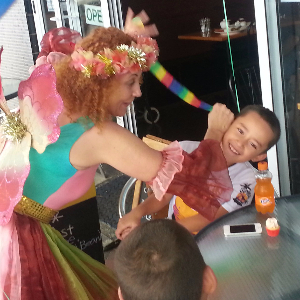 All Day Latin Musical Entertainment 11-9, Facepainting and Balloon Twisitng 11-3 for the whole family! Over 1000 free parks check out our free parking map on the website for details. 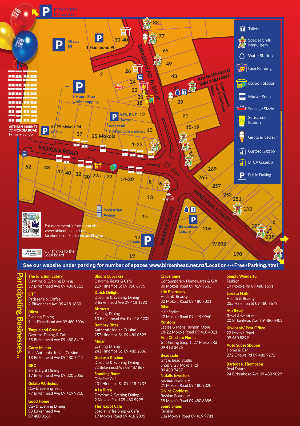 Extra parking provided by Private businesses after 5 weekdays and Saturday & Sunday . Access driveway beside Ann Cheshire. Walkway through to Birkenhead Ave from back stairway BNZ Alley. 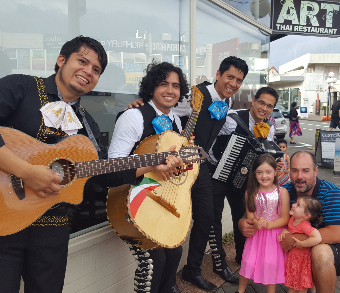 Have your soul serenaded each Sunday with the Mariachis strolling the streets and visiting our local village restaurants, make sure you're in the village between 6-8pm for Mariachi Sundays. 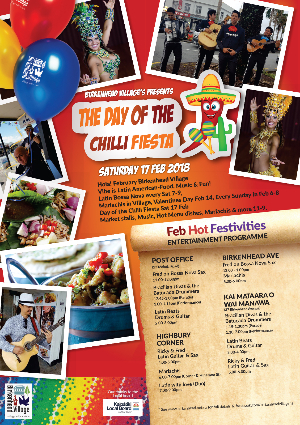 February is full of Latin Festivities, keep an eye out for the events around the Village! Saturday Village Vibe. You don't want to miss our favourite Father Daughter Duo! 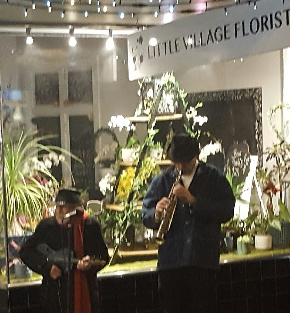 Latin With Love -Fred and Milo are performing Bossa Nova tunes in the Village on Saturday 7-9pm throughout the month of February, be sure to come along! What a perfect way to celebrate Valentines Day, in the village we have a match made in heaven! 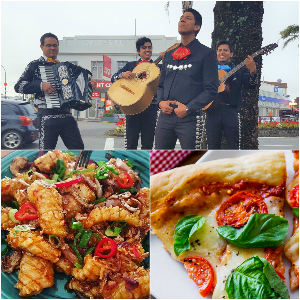 Delicious food and Mariachis! Mariachis will be strolling the village restaurants to serenade you at dinner from 6-8pm. 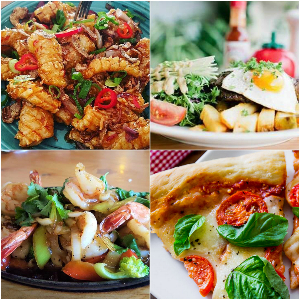 Be sure to make reservations at your favourite village restaurant or even try somewhere new! Every Thursday, Friday, Saturday, Sunday from now until Christmas. Please note: from 19th December - 22nd December Santa's Workshop will be open until 4:30pm. Come and visit a weekend full of art! Opening night, a formal event with drinks, nibbles, auction and live jazz. Saturday 2nd 10am-4pm & Sunday 3rd 10am-2pm. Live music, silent auctions, art workshops, coffee and cake. Keep an eye on the Art Plus Facebook Page for regular updates. Beautiful Birkenhead- Horses, Heritage & all that Jazz! 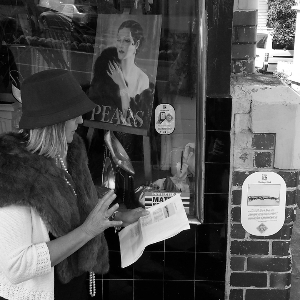 Come into Birkenhead Village Dress up and participate or just come in to soak up the ambiance of yesteryear over three days. On Friday 13th & Sat 14th October the Village Businesses will be dressing up to honour our unique Heritage. 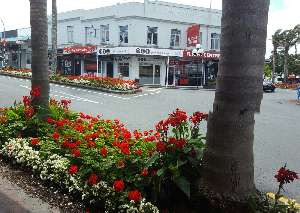 During the 1920's 3 buildings that still exist today were created by WH Payne and the commercial heart of the Village was born at Highbury Corner at the top of our oldest street Hinemoa- leading up from the wharf. On Saturday we will have the Clydesdale Horses and the Vintage Cars on Nell Fisher Reserve to celebrate the handover from Horse to Horse Power. 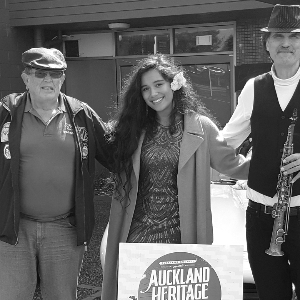 Free rides, vintage jazz bands and fun for all, alongside many more Beautiful Birkenhead Heritage events. The Fredrick Morris Block (The outfit to BBC) Oborn Building (Then the WH Payne Building) Highbury Buildings (Yarntons today). Our grateful thanks to our events sponsor Barfoot & Thompson and the Kaipatiki Local Board and Economic Development portfolio holder & Judge Danielle Grant. 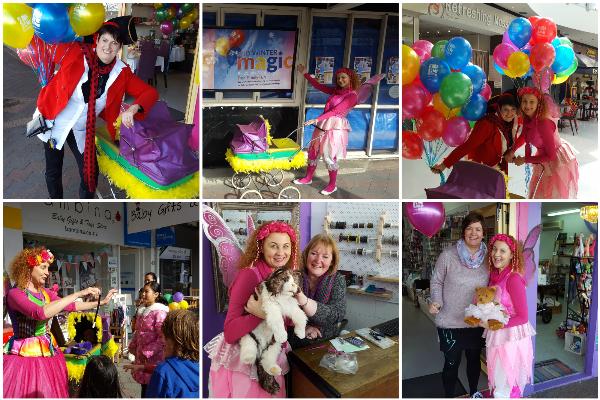 Come in and check out these fantastic local businesses and tell us on our Facebook page who are the people’s favourite for theme and dress. Children who can ride indepedently only on these please. Horses were key in enabling the development of Birkenhead Borough. Don't miss this chance for children to ride the horses of our heritage. 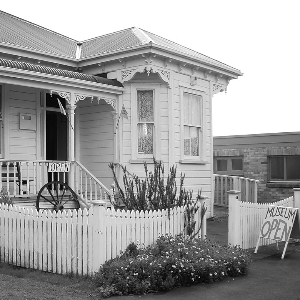 Explore the living history of NZ's only sugar town village to the sounds of Dixieland Jazz. First in first served, spaces are limited. Children ride solo on the horses. Beautiful Birkenhead: Horses, Heritage and all that Jazz! This year Shetland Ponies join the farm! 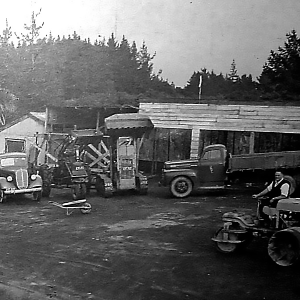 Before the Auckland Harbour Bridge opened in 1959, Birkenhead Borough was a collection of rural farms and orchards. Bring the family and meet the heritage farm animals of yesteryear, pigs, goats, sheep, ponies and more! 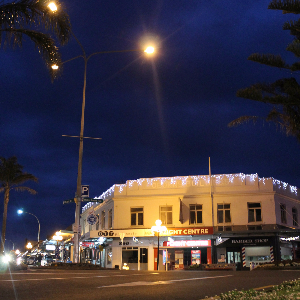 Brought to you by the Birkenhead Town Centre Association and Kaipātiki Local Board. 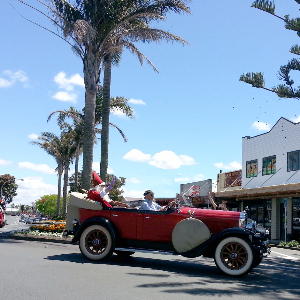 Celebrate the handover in 1927 from horse to horsepower with a vintage car & jazz music display in Birkenhead Village. Enjoy the beauty of vintage cars from bygone eras, and admire our Art Deco buildings on Highbury Corner. 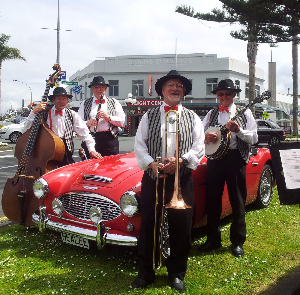 Stroll around, check out our vintage stores and be entertained by our very own Dixieland Jazz Band. Grab a coffee and cake and enjoy the atmosphere! Cars Courtesy of the North Island Model A Ford Club. Ain’t Misbehavin’? Why Not? 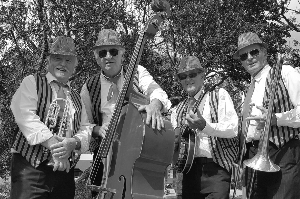 Enjoy our progressive swing serenade on Thursday & Saturday evenings around the village, passing by many of the restaurants and pubs. Stop off at the new lookout Kaimataara ò Wai Manawa for stunning views of Auckland. 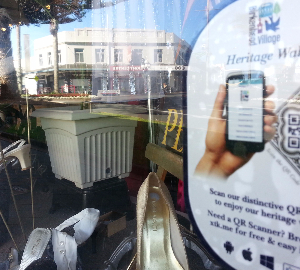 Hop into Highbury and catch a heritage walk while shopping the op shops. 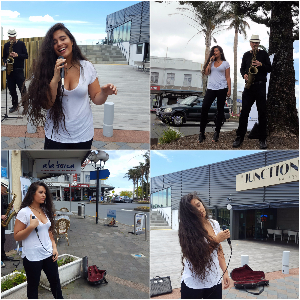 Be serenaded by vintage jazz as you shop between 11am-2pm, 30 minute live sets at progressive locations. 11am, 11:35am, 12:05pm, 12:35pm, 1:05pm. 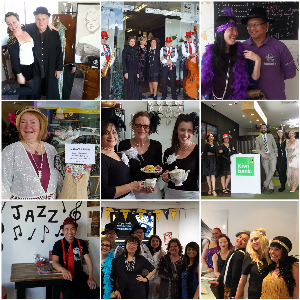 and check out the authentic outfits & displays worn by our shop owners! Experience our unique sugar town history as a community developed from the Sugar Refinery. 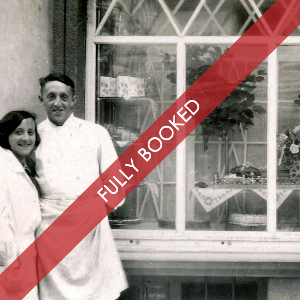 Visit the library and travel back in time to see what life was like in the Village through snapshots from the archives. See how Birkenhead has changed with the development of transport networks in this photographic exhibition. 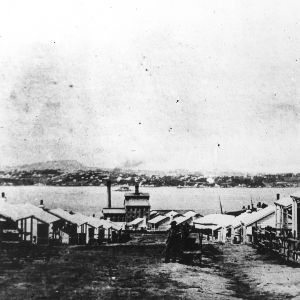 For 130 years, the iconic New Zealand Sugar Company’s factory has sat at the foot of Birkenhead Village, on the banks of the Waitematā Harbour. Let our local guide walk with you in the footsteps of the original sugar workers, past their historic family homes still standing today, and hear stories of the living testament from the family archives as you step in to experience a glimpse of living social history from 1886 to the present day. Birkenhead through the decades - a photo display of transport and transition from farm to city. Prior to the bridge going through in 1959 Birkenhead was a collection of rural villages based around Sugar and Fruit.,\. During the 1870's the need for schooling had become urgent. 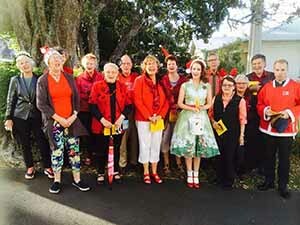 13 families petitioned the Auckland Education Board. 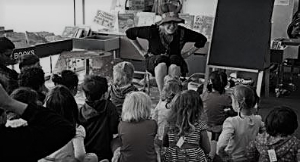 Disappointed with the offer of a shared school at Stokes point with Takapuna. 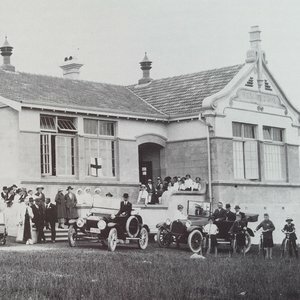 The women of the district raised funds subsidised by the Education Board and in 1878 the first proper school house was built where Northcote College stands now. 10:00am-Tours of the school and complimentary light morning tea in the staffroom for ex-staff and ex-pupils who attended up to 1959. 6:00pm-A chance to mix and mingle and renew old acquaintances at school. Cost: $15 if pre-registered online or $20 on the night. Purchase drink tickets on arrival. 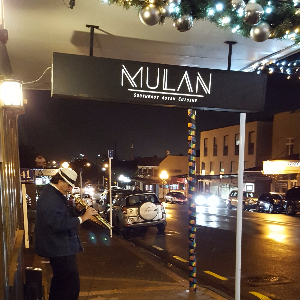 7:00pm-12:00am-Dinner and live music at the Northcote Rugby Club. Visit https://www.northcote.school.nz for more information about times of events. Highbury was the original site of the Taylors Farm before the bridge. 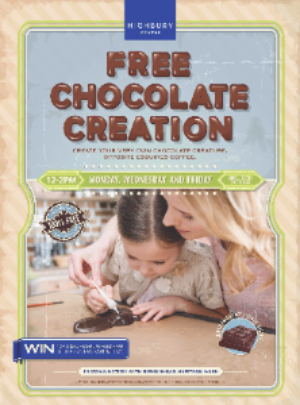 Come along to Highbury Mall to make your own chocolate animal creation. Also learn about Birkenhead sugar heritage with a fun fact quiz! Discover the stunning views across the Waitematā Harbour & Auckland citys only inner city rainforest access from Birkenhead Village as you descend into Le Roys Bush. Take the family and discover the site of Charles Blomfield’s NZ Noted historic bush. Painted in 1925. Explore the pipi walk used by local Māori to access the shoreline. 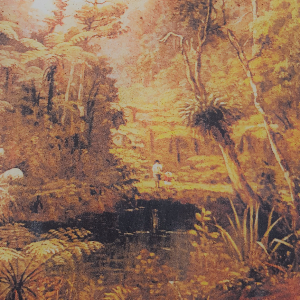 Charles Blomfield was a noted NZ Painter whose most famous works included paintings of New Zealands the pink and white terraces - Dubbed the " 8th wonder of the world" in Rotorua before it was buried in a volcanic eruption. Join us on the Highbury Heritage Walk with a local historian, who will share secrets of this unique sugar village. Bring your smartphone to discover more interesting facts! Finish off with a Devonshire Tea from a local café. 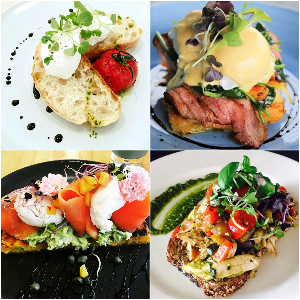 The Teapot on Mokoia road offers High Teas and Devonshire Teas or Bloom Cupcakes offer a cupcake twist on this traditional favourite.